It is FINALLY warming up here in Houston and starting to feel like Spring. I love Spring, all the bright colors and the weather is perfect before it gets deadly hot. Its just the perfect time of year. 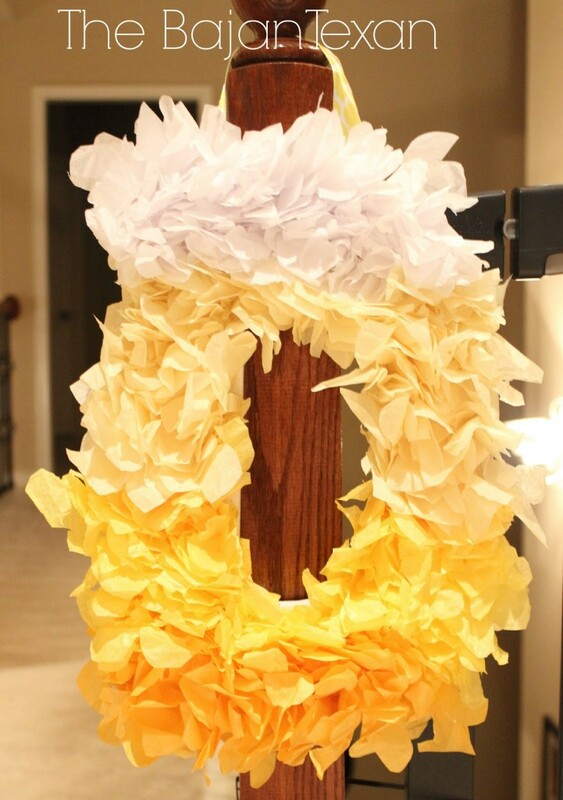 I wanted to do something a little different with my Spring porch this year and use the colors yellow and white so I made this DIY Spring wreath. I didn’t want to do the same old floral wreath so I decided to do a monogram wreath and use the letter D for our last name. Even fake flowers can be expensive, at least the ones that look real are and I really didn’t want to invest too much into this project. 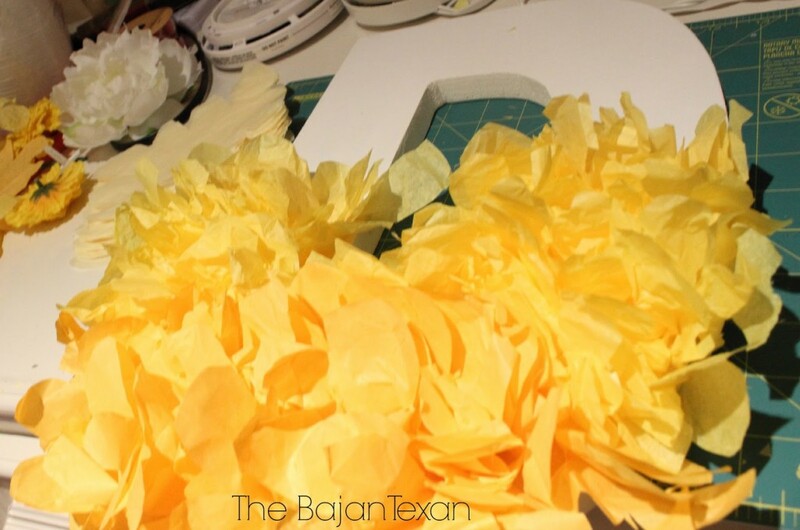 Instead I decided to use tissue paper and get the floral effect for actually no money because I had tissue paper on hand. I didn’t have enough yellow to cover the entire D so I decided to do an ombre effect and use 3 different shades of yellow and some white. I think it turned out really great! 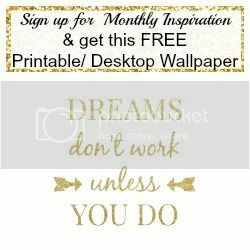 Cheap and easy….my favorite kind of project! 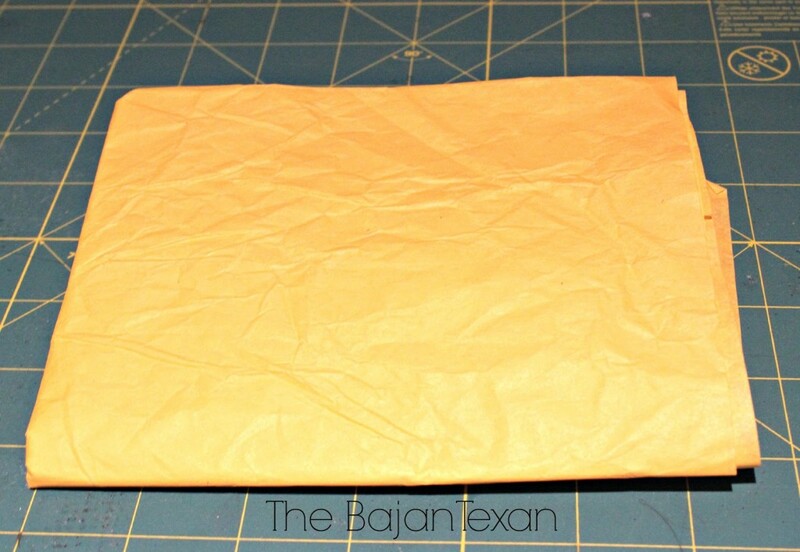 Here’s a step by step tutorial so you can do your own! 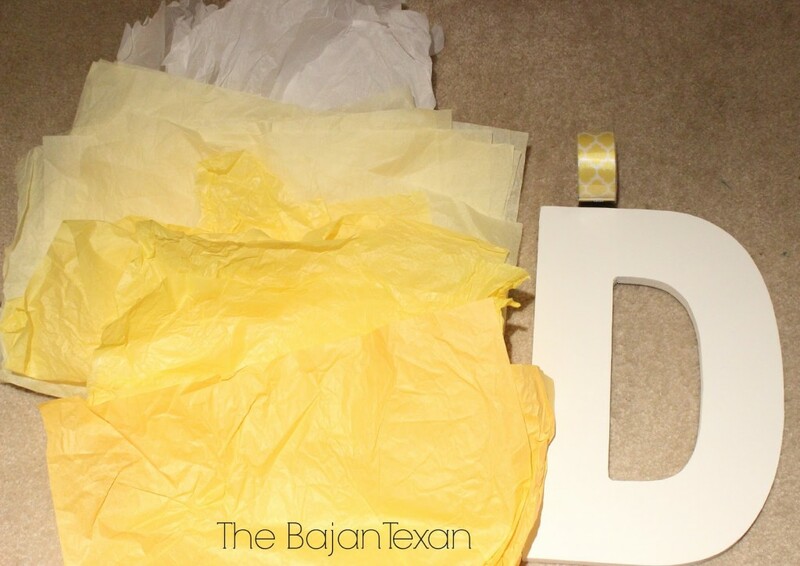 Supplies are: tissue paper in different shades of yellow, Ribbon to hang the wreath, and a canvas letter. The letter was $12.99 before the 40% off coupon at Hobby Lobby. I decided to go with a canvas letter because I didn’t want a flat letter and the thicker letters weren’t large enough to be used as a wreath all on their own. 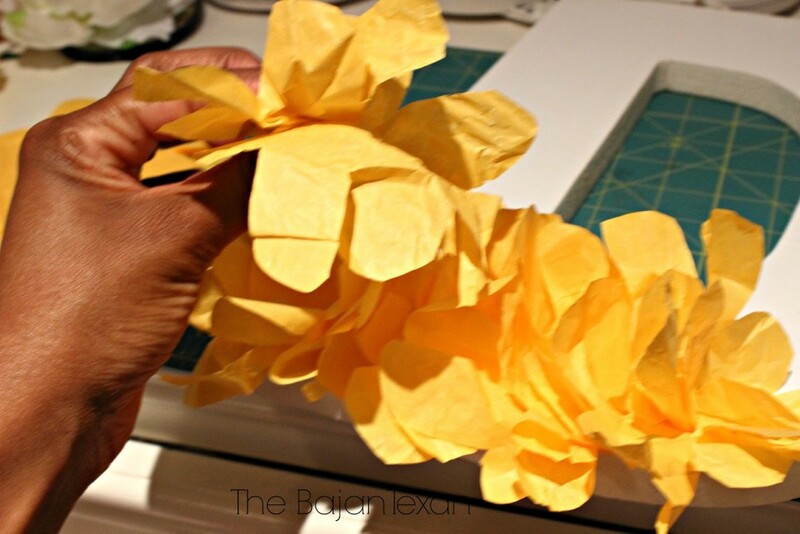 Squish the ‘flower’ together and hot glue to the letter. Do the same thing for all your colors and work your way up to white. I did 3-4 rows per color. 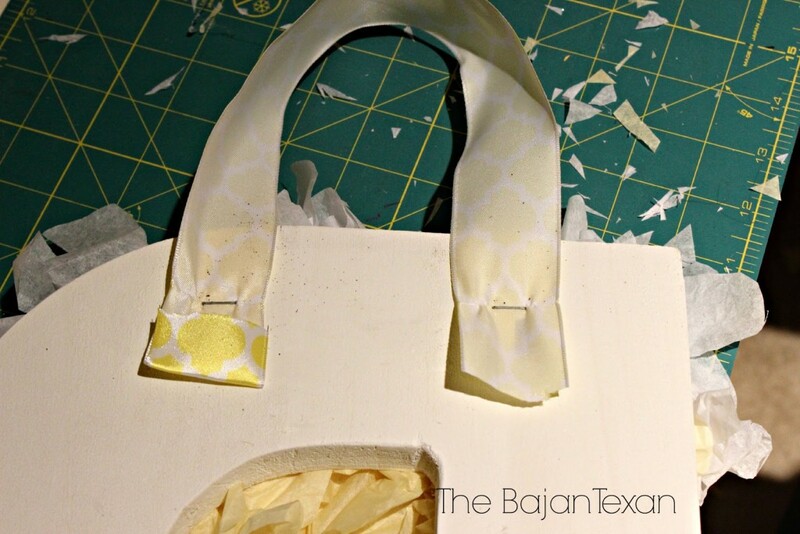 When you’re done, use a staple gun to attach some ribbon to the top and you’re done. Isn’t the ombre effect gorgeous! I can’t wait to add this to my front door. Stay tuned for the rest of my Spring Porch later this week. How are you sprucing up your front door for Spring? Love me some ombre crafts!! On your comment about acrylic tables…I thought the same thing too! Surprisingly they seem like a chameleon piece. Really cute idea and I love the way it turned out! 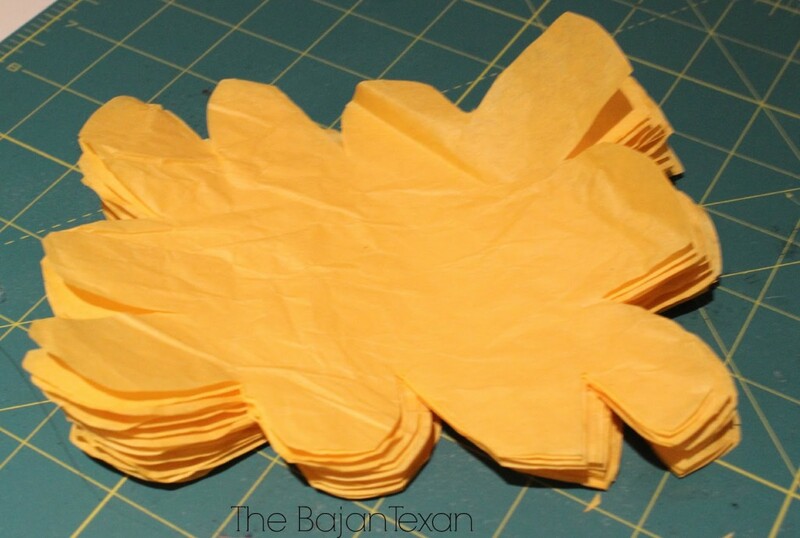 I remember making tissue paper wreaths in grade school with tiny squares of tissue paper that we wrapped around pencils and dipped in glue. I think my mom might still have a very crushed one in her attic.